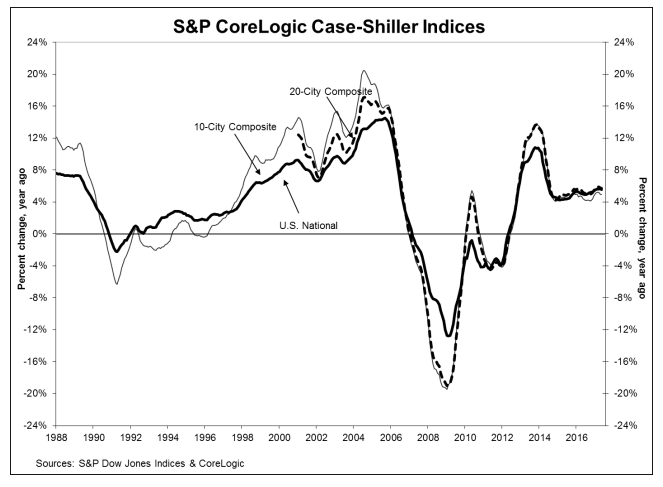 Home prices experienced another 5.6 percent year-over-year increase in the month of May, the same as the month prior; but this is not pre-housing crisis déjà vu, according to the S&P CoreLogic Case-Shiller U.S. National Home Price NSA Index. “Home prices continue to climb and outpace both inflation and wages,” said David M. Blitzer, Managing Director and Chairman of the Index Committee at S&P Dow Jones Indices, in a statement. “Housing is not repeating the bubble period of 2000-2006: price increases vary across the country unlike the earlier period when rising prices were almost universal; the number of homes sold annually is 20 percent less today than in the earlier period and the months’ supply is declining, not surging. 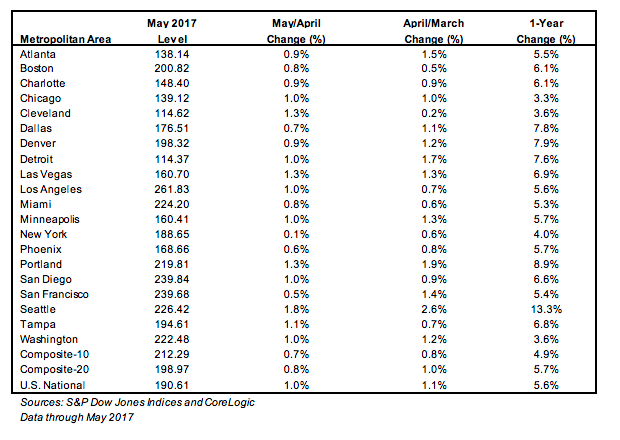 The cities reporting the highest annual gains of the index’s 20-City composite were Seattle, Denver and Portland, Oregon.